Beamforming technology promises a headphone-like experience. Our latest audio demo at CES 2018 came from Comhear's highly-anticipated first consumer device, the Yarra 3DX. While soundbars claiming audio superpowers are a dime a dozen, the Yarra 3DX has been through two successful crowdfunding campaigns (on Kickstarter and Indiegogo) on the strength of its beamforming chops. With a DSP tied to each of its 12 33mm drivers, the company says this speaker is capable of delivering binaural audio precisely to listeners and can create up to three audio sweet spots, all controlled via its app. We got a peek at the Android version of the app, which can be used for beam selection, presets and more. With a simple slider, the operator could shift the audio focus around a virtual room, and switch the speaker between near or far-field operation. I had a brief experience with some demo material before the Showstoppers event became too crowded, and came away impressed. Comhear's claim is that it can deliver a headphone-like localized sound experience and it truly delivered, even in a room not suited to high-quality audio. 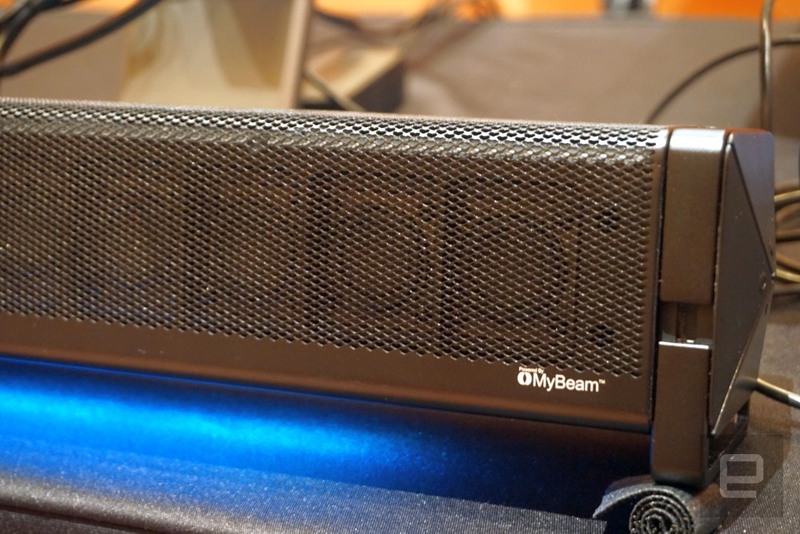 Its MyBeam tech is also in use commercially, for retail kiosks that have focused sound experiences, but we're more interested in what it can do for the home. The demo unit we saw is still a second-generation prototype, as production units are still a few months away from shipping. While the Yarra 3DX is suited for binaural audio and sources encoded using Dolby Digital, once it's on the market users are expecting to see firmware upgrades to support other options as well. 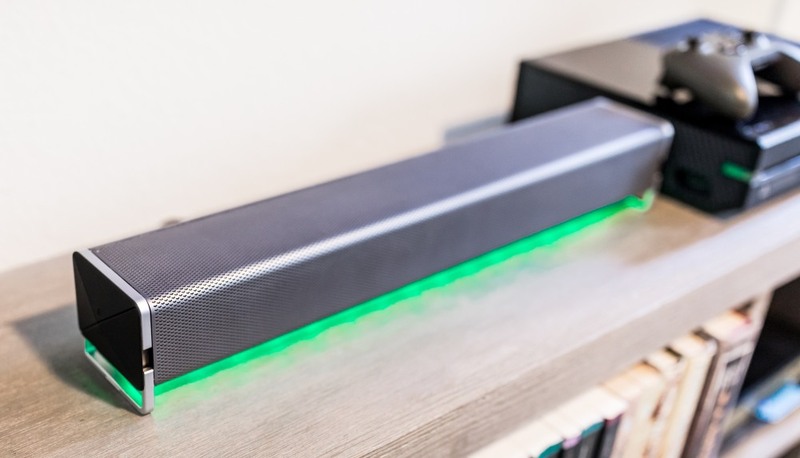 Packaged with a subwoofer, the soundbar has a sticker price of $599, however, there are Indiegogo options still available for a bit less.